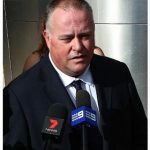 A Queensland jury has returned a not guilty verdict in favour of former Gold Coast Police Sergeant Rick Flori who was charged with ‘misconduct in public office’ after allegedly leaking footage of his colleagues bashing a handcuffed young man, chef Noa Begic, in the basement carpark of a police station. 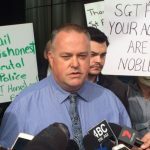 47-year old Mr Flori, who has since resigned from the Queensland police service (QPS), is reported to have told the media he released the footage of the January 2012 assault to expose a culture of cover-ups and corruption in the force. 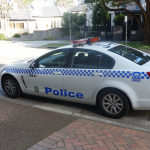 It has been reported that after the footage was published by a Queensland newspaper, an internal investigation by the QPS led to a search of Flori’s home where the footage was allegedly located on an SD card. The Sergeant was later suspended. What then followed was a six-year battle for Rick Flori to clear his name. In 2016, it was revealed that Queensland Police Commissioner Ian Stewart is related to former Senior Sergeant David Joachim, the officer who washed away Noa Begic’s blood after the bashing. Mr Stewart was the Deputy Police Commissioner at the time of the 2012 bashing, becoming the state’s top cop later that year. Stewart admitted being “distantly related to David Joachim through marriage” but denied having any involvement in the police investigation into the Begic bashing. He has actively sought to distance himself from Joachim, despite reportedly attending Joachim’s farewell from the police service. David Joachim was stood down on full pay after the bashing came to light, retiring in 2013 without any action being taken against him. In spite of the damning footage, an internal police investigation found there was “no further action necessary” against Joachim. 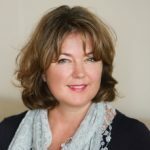 While the prosecution argued that Flori leaked the footage because he was upset at being overlooked for a promotion, Flori’s criminal defence team, led by Saul Holt QC, labelled the accusation of a vendetta as “nonsense”. The highly-respected barrister is reported to have submitted that his client’s motivation for leaking the footage was “pure” – that he intended to ensure those responsible for the violent assault were exposed. Rick Flori was acquitted yesterday by a majority of 11-1 after a six day jury trial in Southport District Court. Rick Flori says that despite the stress and trauma of his six year battle, he would do it all again. He says that the claims of ‘openness and honesty’ by QPS are simply rhetoric – that despite the recommendations of the Fitzgerald Inquiry in 1987 which found a deep culture of corruption in the force, little has changed. The good cop says that amongst his thousands of supporters are many officers who are currently in-service but who are ‘too afraid’ to speak out. A recent QPS employee survey revealed that bullying and sexual harassment is rife within the ranks of the service. The results of the survey were leaked to the media after the QPS failed to make them public. They suggest that of 7,500 staff surveyed, more than a quarter say they witnessed bullying and that 18 percent were exposed to sexual harassment. Only one-third reported the incidents to management, and 18 percent said they were victims of sexual harassment. Twenty four percent said they intended to leave the force within a year. The findings suggest there are serious problems with the culture, management and leadership of the QPS. 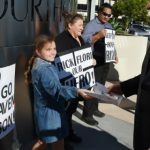 What’s next for Rick Flori? Mr Flori says the only role he would consider returning to in the QPS would be that of Commissioner – and there is little question many would support such an appointment. 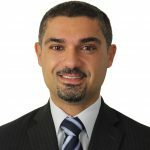 He is currently in the middle of a legal battle with the QPS for “whistleblower reprisal”, seeking $1 million in damages for loss of reputation and loss of wages, plus $300,000 for lost superannuation. 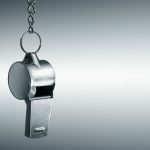 Many believe that if anyone is entitled to damages for whistleblower reprisal, Rick Flori is.